This 3D life-size Hen Turkey looks just like the real thing walking across your lawn. 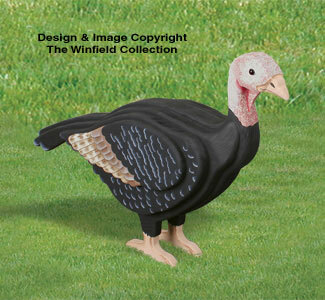 Add our 3D Tom Turkey (#W1254YD) to create an eye-catching display you can keep out all year long. 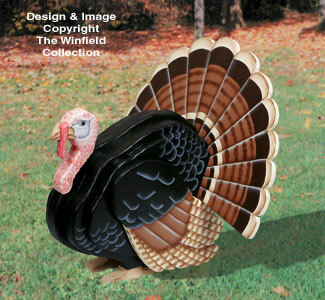 Make our Hen Turkey from layers of 1-1/2" and 3/4" thick wood, a little 1/2" thick plywood and our full-size pattern. Detailed painting instructions are also included (about 15" tall).